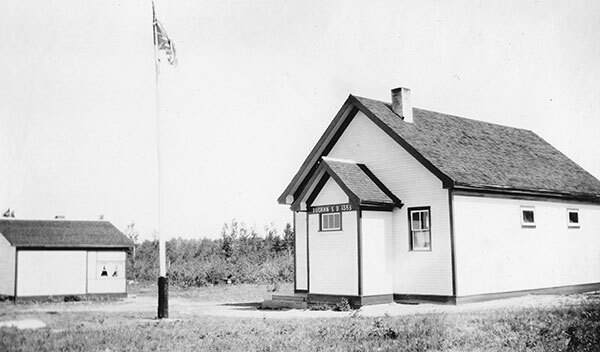 The Buchan School District was established formally in April 1917 and a one-room schoolhouse operated at SE9-13-9E in the Rural Municipality of Lac du Bonnet. It was dissolved in 1967 and its catchment area became part of the Agassiz School Division. GR8461, A0233, C131-3, page 49. Molson West topographic map, West sheet, 62I/1, Edition 2, Series A743 [Archives of Manitoba].